this story is the perfect example of the process employed by those affected with the incapacitating and debilitating inability to discern cause and effect. Never recognizing that the tragedies on the streets are the direct result of their previous social policies they strive to “fix” the problem the refuse to recognize they caused with the more of the same blindness that caused the problem to begin with – VERY EXPENSIVE BAND AIDS – and so the liberal solution is always the same, more money and more words but NEVER a look at what the underlying cause is. For the same reason that poor people who win the lottery invariably end up poor again and never mind that the lottery is nothing but a tax on poor people – it it is this inability to recognize this simple fact in themselves and the liberal desire to enslave or, preferably, eliminate (abortion – the holy grail of liberals – WHY?) all who do not agree with them and agreeing with them is not that poor people, etc. deserve FREE stuff. agreeing with them is that THEY are smarter and more deserving than EVERYONE else and everyone else should keep their mouths shut. New York City will spend $1.8 million this year to roll out “mobile trauma units,” or buses filled with counselors and peacekeepers, to crime scenes throughout the city in an effort to ease tensions in communities after acts of gun violence. The buses will be deployed in January 2019 to each borough to provide trauma relief, as well as job and educational opportunities. Some team members have prior criminal records and former gang affiliations. Known as “violence interrupters,” they use their credibility and connections to resolve disputes before they escalate. “A lot of people don’t realize once the funeral is over, once the candles stop burning, once the media is gone, people are still suffering, people are still afraid,” said Councilwoman Vanessa Gibson, the former chair of the City Council’s public safety committee who pushed for the initiative. Eric Cumberbatch, the executive director of the Mayor’s Office to Prevent Gun Violence, said the program will likely cost $875,000 annually following the roll out. He said the program would help community members heal while allowing anti-violence advocates to take responsibility in ensuring public safety. Ms. Gibson said the vehicles will be about 60 feet long. Like the New York Police Department’s mobile-command posts, the advocates’ units will stay at crime scenes up to a week after crimes are committed. The NYPD deploys those large vehicles to locations that have recurring crime throughout the city. Eugene O’Donnell, a professor of law and police studies at John Jay College of Criminal Justice, said it would be hard to justify the use of such a program. Ms. Gibson pointed to a Bronx stabbing that occurred last month as a prime example of the need for the units. 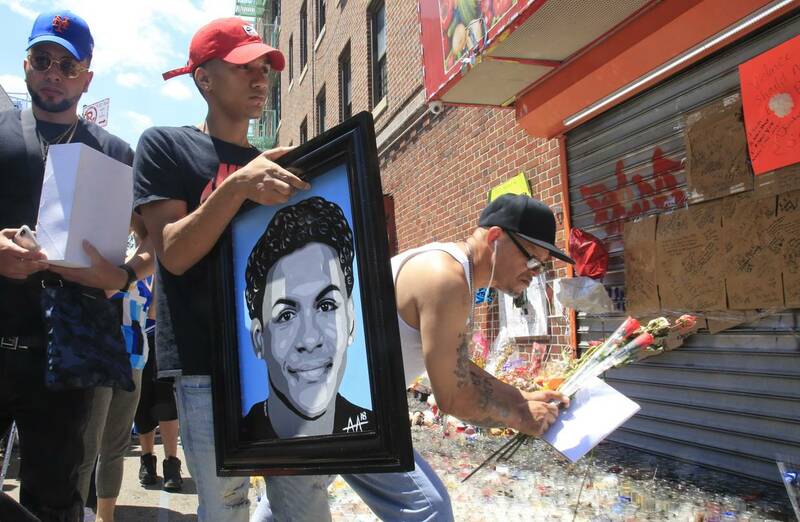 The Bronx community of Belmont has been reeling since Lesandro “Junior” Guzman-Feliz, 15 years old, was dragged out of a bodega by members of the Dominican-American gang, the Trinitarios, and fatally stabbed with knives and a machete after he was mistaken for someone else. Police said they have made 10 arrests thus far in the investigation. Ms. Gibson and Mr. Cumberbatch said they hope the interrupters can contact gang members after such crimes to prevent further violence.